We focused mainly on sketch models of both the marionette and the stage. We purchased a marionette that we named Pepe, which we experimented with to build our own model marionette. 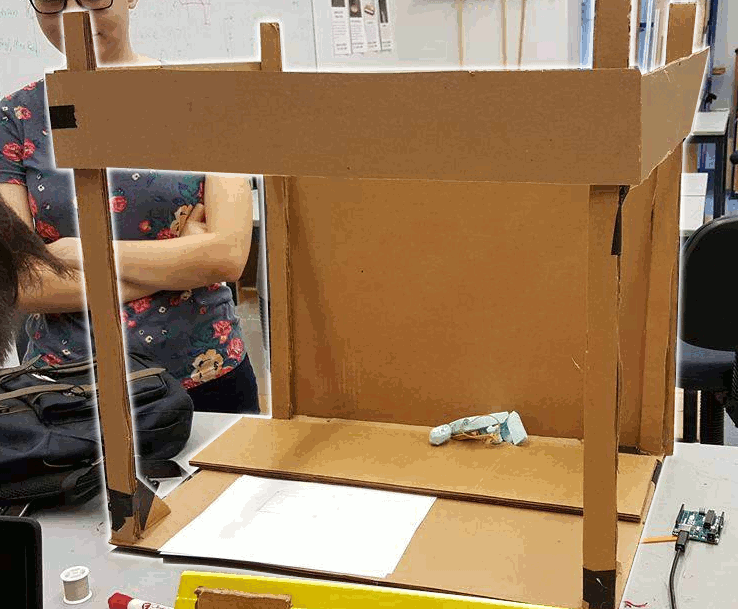 We also built a sketch model of the stage. We began designing the mechanism by which we will spool strings in order to move the marionette. We've started considering how we will pull the curtains on the stage when an audience is detected. 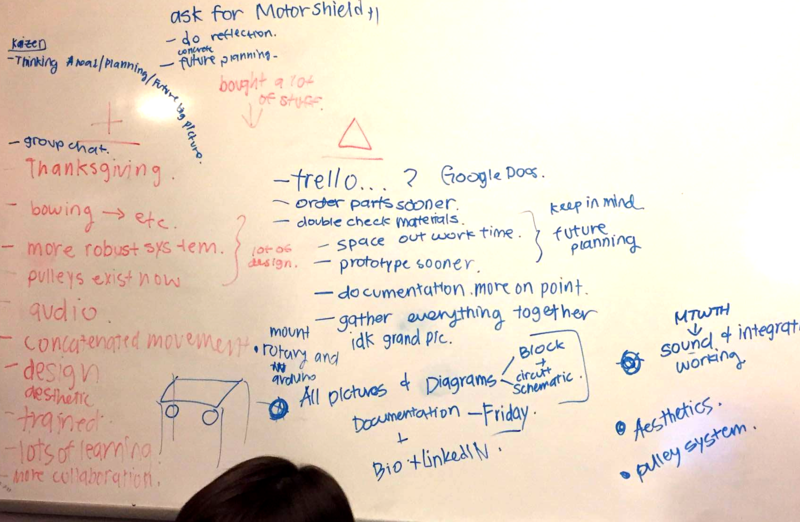 Having just completed our first sprint, we came away with some great ideas for improvement in our next sprint. In terms of how our team worked, we wanted to break the mechanical systems into smaller components to allow for faster testing and to give the software team more to do. 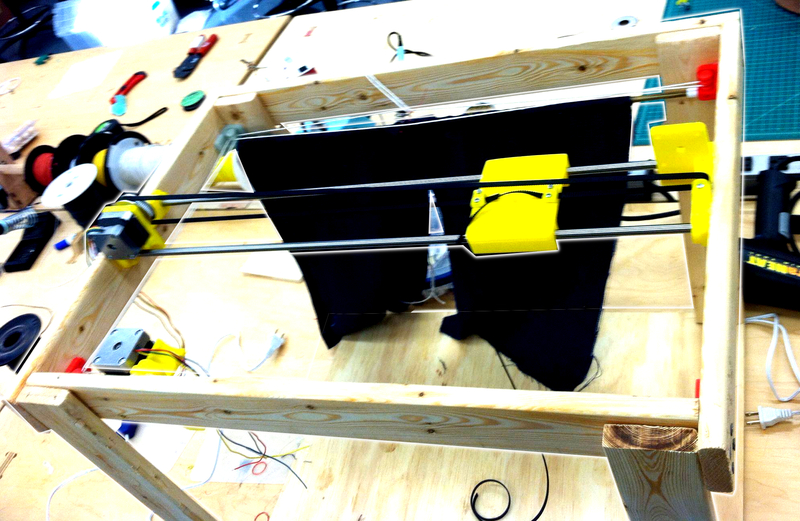 In terms of our final deliverable, we wanted to test out using lever arms, consider a systems for drawing the curtains, and test out motors. 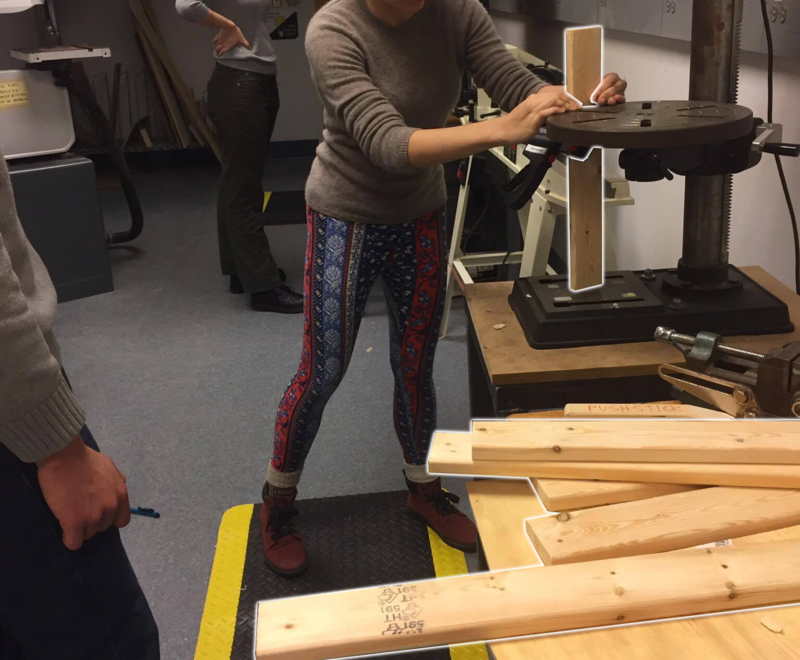 We continued to work on the stage and to implement movements for our marionette. Although using queues was suggested for programming the movements, we ultimately decided that queues are not quite as efficient as we'd hoped. However, we eventually got our servo motors to work and now the marionette's arms swing simultaneously. We also (finally) went out for our first team bonding event! 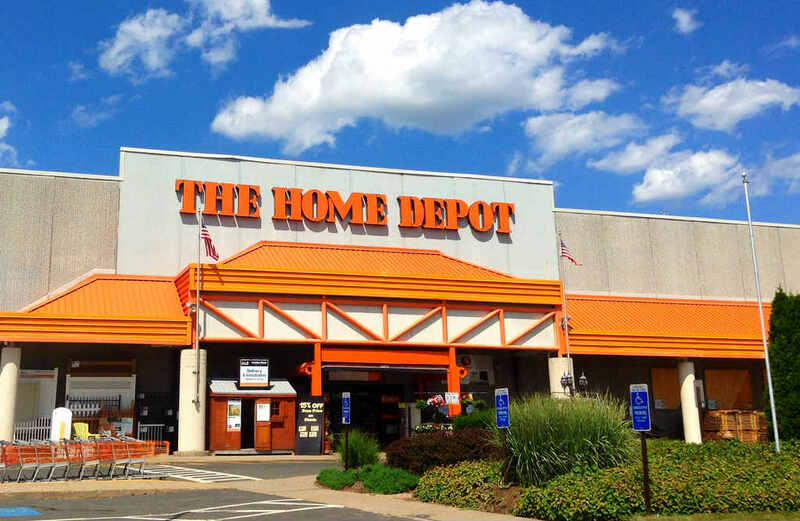 For this event, we chose to go to the Natick mall for lunch and then to the nearby Home Depot for supplies. Having just completed our second sprint, we came away with more great ideas for improvement in our next sprint. In terms of how our team worked, we wanted to begin meeting more frequently (although not necessarily with all team members). We also wanted to rehearse for our sprint review more, since in the past, we never felt like we had had enough practice. In terms of our final deliverable, we wanted to nail down our project and have our MVP by the end of the third sprint, so that the fourth sprint could be devoted to making the project more beautiful. Realizing there may be serious faults in our original design, we decided to redesign several aspects of our mechanical system. We also began working on getting a sound system to play audio files to accompany our marionettes and finalized the storyline we wanted to implement. 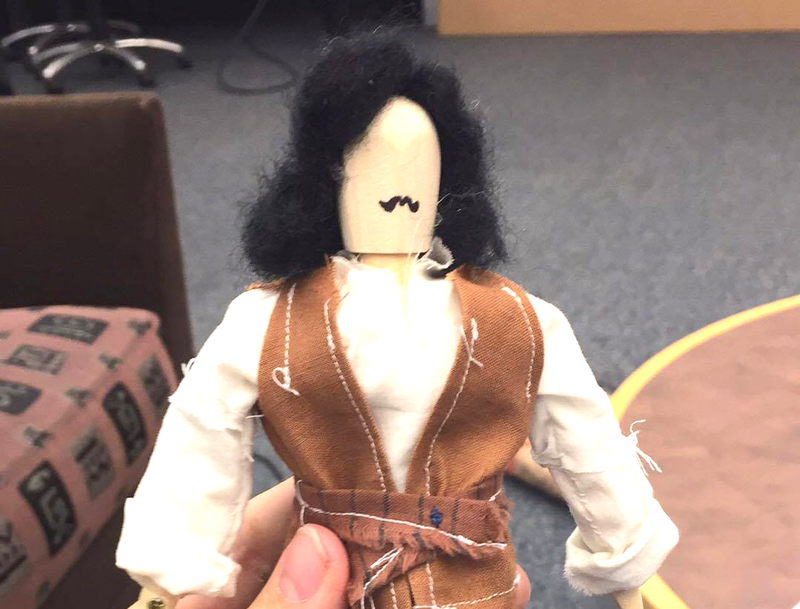 For our performance, we want to play a swordfighting scene from The Princess Bride, between Inigo Montoya and the six-fingered man. 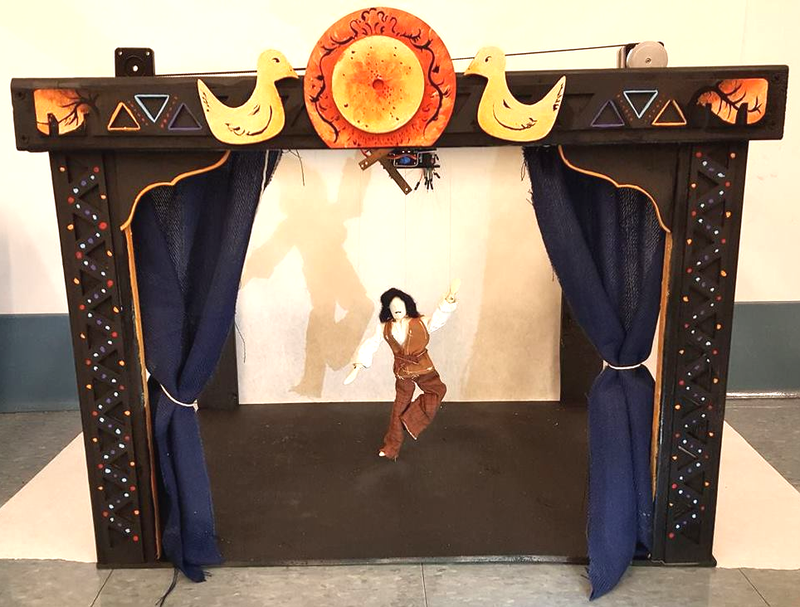 Based on feedback from our peers and our instructors, we decided to nail down movement with one marionette before considering another. 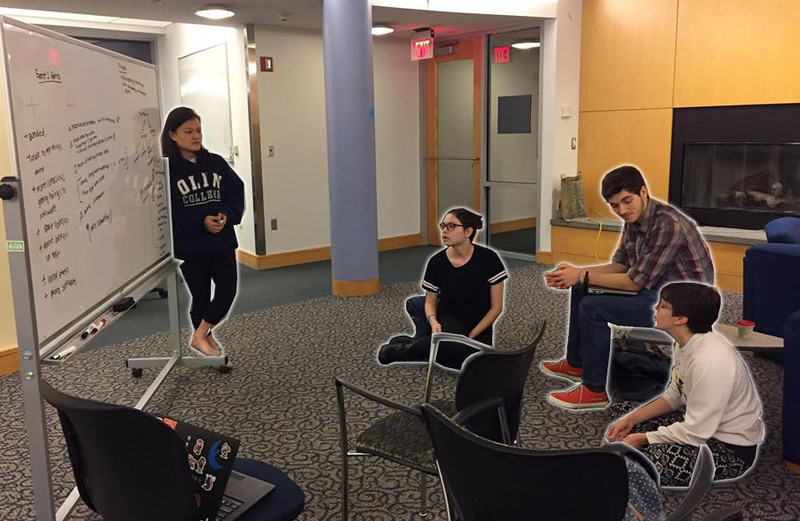 Since the coming sprint will be our last, we are determined to work hard to make our project a success on demo day. We still have a lot of work to do (especially if we want to add another marionette), but we're confident that we'll be able to get it all done in time. We had more or less nailed down our mechanical systems in the past sprints, so at last, it is time to beautify our project. We purchased fabric and hung up the curtains. We painted and decorated our stage to suit our story. We created a costume for our marionette and modified it to be more easily maneuvered. We had a wonderful time with this project, and we hope that it is reflected by the work we have done. We learned and developed so many skills throughout the course of these 4 sprints, which we hope to take with us into our futures. We also hope our project serves as an inspiration to future POE students!